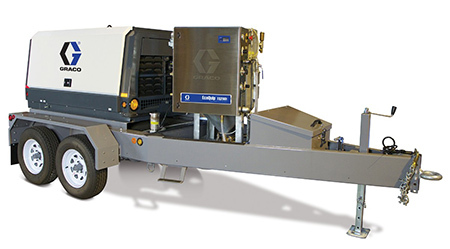 EcoQuip Vapor Abrasive equipment | Gonneville Inc.
No longer is it necessary to put up with the high cost of purchasing, cleaning up and disposing of large volumes of media to achieve quality results in record time. 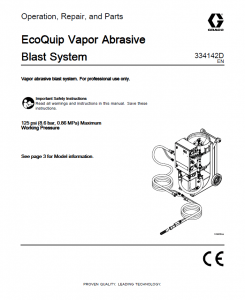 EcoQuip’s Vapor Abrasive technology gives you equally powerful blast that works quickly like dry blasting but requires a fraction of the media and the time required to clean it up. That leaves you with savings in material, labor and disposal costs, which you can turn into profit. 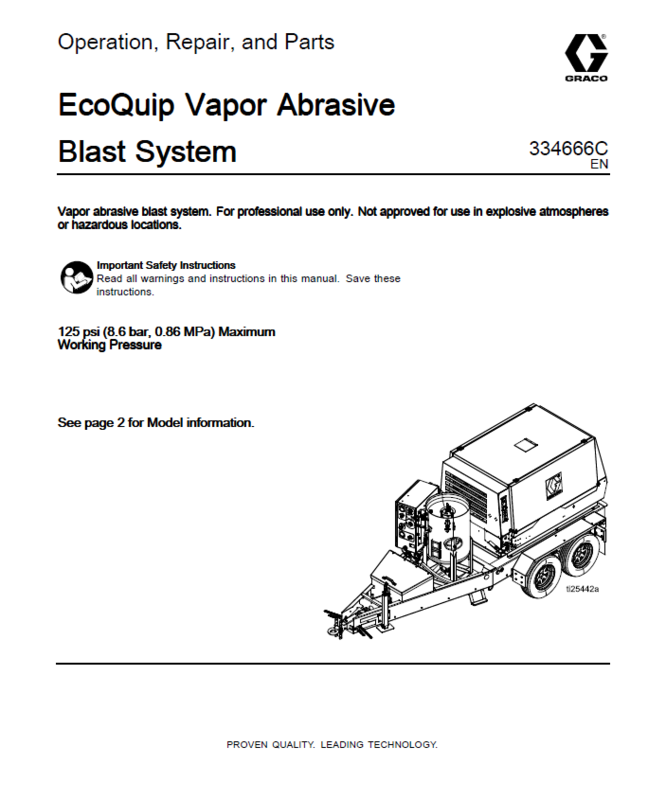 While traditional high pressure blasting methods damage delicate surfaces, create dust, involve hours of containment and clean-up – EcoQuip machines can be used on virtually any surface by using advanced technology to bring the blasting industry the first system that can be used at pressures as low as 30 psi for delicate surfaces such as sandstone and limestone. They are gentle enough to restore delicate surfaces like teak and other hardwood structures while aggressive enough to remove any industrial coatings, rust and/or mil-scale without damaging the sub-surface. 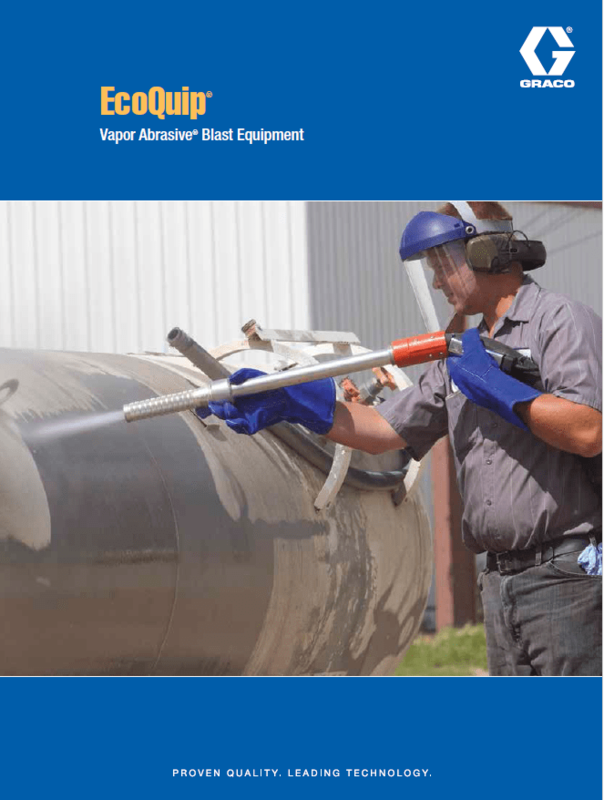 EcoQuip Systems are also excellent for cleaning the equipment used for applying these materials. EcoQuip Systems are also well suited for cleaning mold, fungus, marine growth, leaching from the soil and rust. EcoQuip is the perfect tool for preparing surfaces for being painted or sealed, whether they need to just be cleaned or profiled for best adhesion. 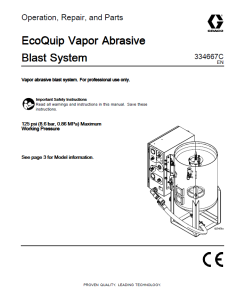 EcoQuip Vapor Abrasive technology differs significantly from dry, slurry and traditional water-based blast methods. 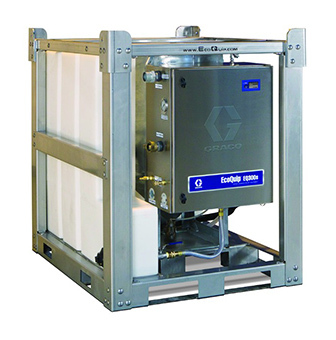 EcoQuip employs its own patent-pending GRX Flow Dynamics technology, which optimizes the air, water and media ratio. The result is a fine mist with a blast that is powerful like the dry method but with up to 92% less airborne dust. 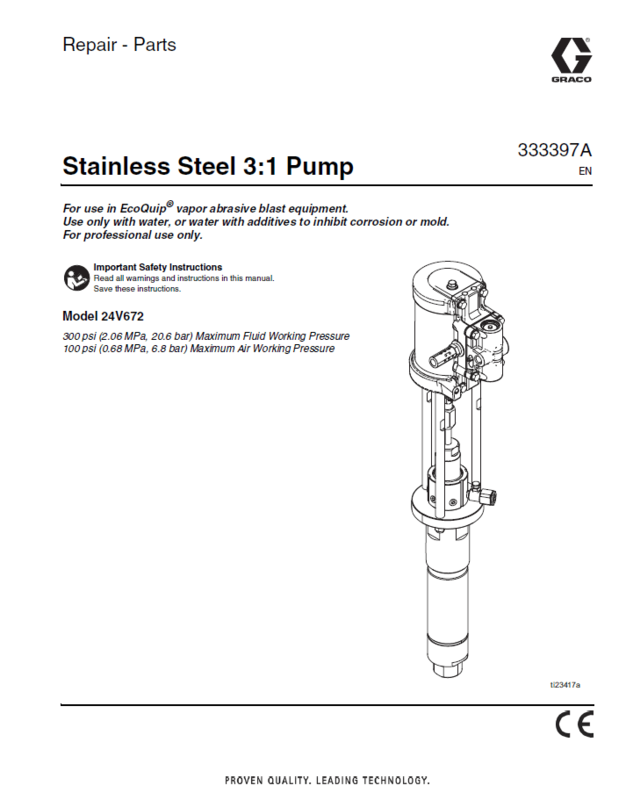 This unit comes equipped with a 2.1-CF hot-dipped galvanized spring sealed & auto-vented blast pot, stainless steel control panel, plumbing and components, along with a 10 gallon, UV-protected poly water tank. With its built-in hand truck, slide rails and convenient lifting eye, the patented EQ100m design facilitates easy portability to the job site. The EQ100m can accommodate any abrasive heavier than water. And, when coupled with an air compressor that can produce 165-375 cfm @ 100+ psi, the EQ100m blasts from 30-120 psi (2-8.83 bar). It’s a tough worker, capable of handling any type of project, from cleaning to surface preparation. 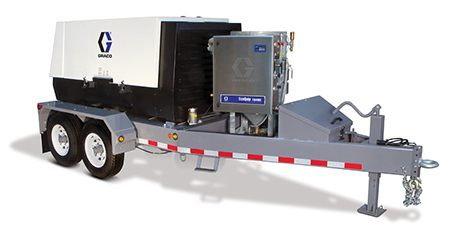 Designed for mid to high production projects, the EQ200t is self-contained unit with a diesel-driven compressor and a 95 gallon water storage tank on a D.O.T. approved trailer. Built to bridge the gap between the light commercial cleaning market – such as graffiti and restoration – and the industrial coating market. The compact design allows for maximum on-site maneuverability and access to most areas of a work site. Great for light restoration or removing tough industrial coatings for surface preparation. The EQ200t is easy to haul and its compact design is easy to maneuver at the job site. 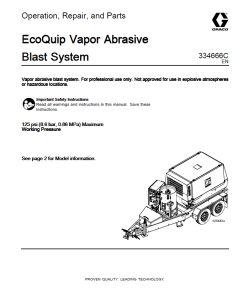 The EQ300s is a standalone unit designed to tackle most typical blasting projects. 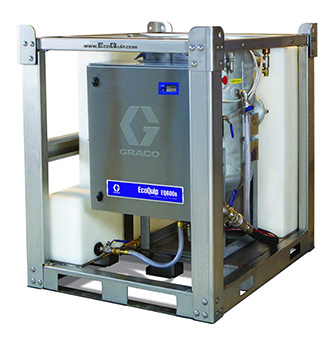 This unit comes with a 6.5-CF hot-dipped galvanized spring-sealed auto-blasted blast pot, control panel, plumbing and components along with an integrated 115-gallon, UV protected poly tank. 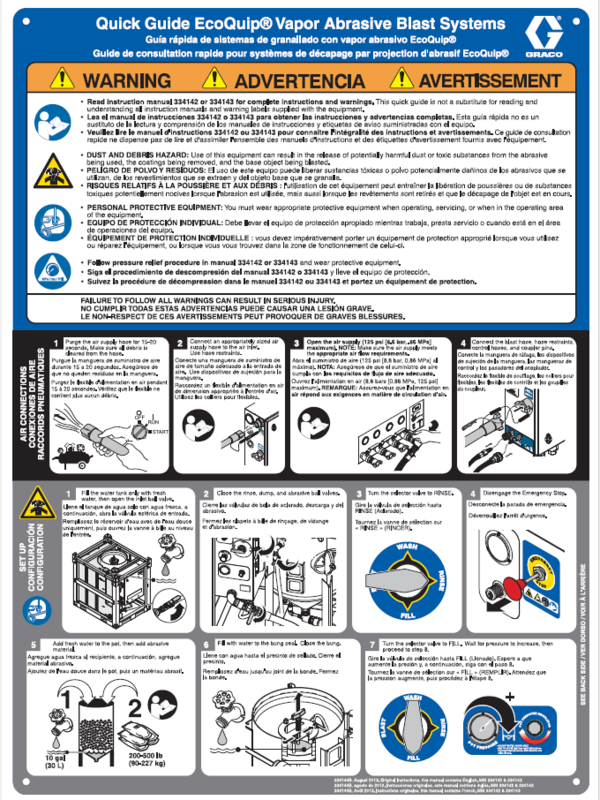 When coupled with any air compressor capable of producing 185-350 cfm, it has the ability to blast from 30-130 psi. Built with a heavy-duty stainless steel crash frame to withstand the toughest of conditions. 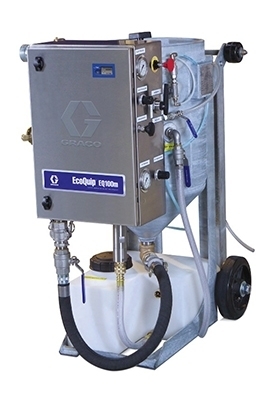 Designed for high production projects, the EQ400t is self-contained unit with a diesel-driven compressor and a 125 gallon water storage tank on a D.O.T. approved trailer. Its compact maneuverability on the job site and ready to handle the toughest of applications. The EQ600s is a high-production standalone unit designed to tackle your largest, most demanding blasting projects. 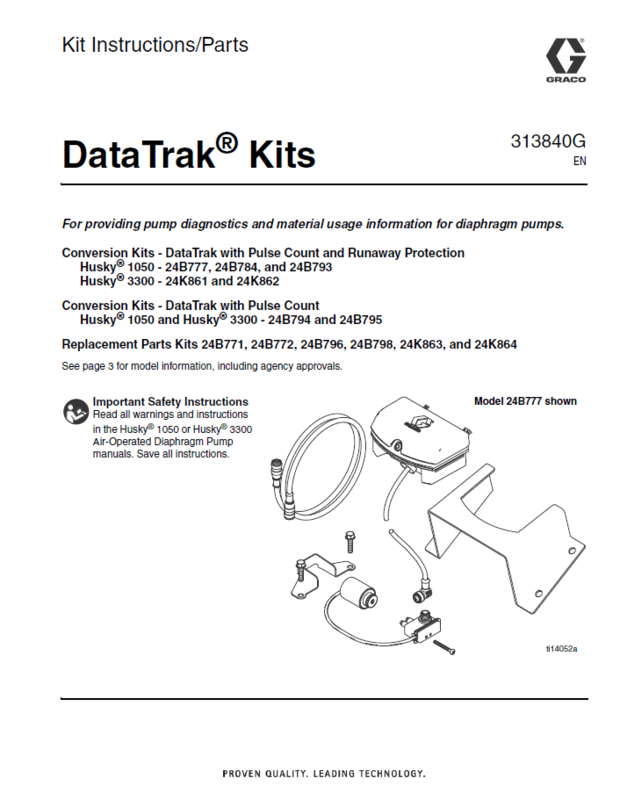 This unit comes with a hot-dipped galvanized spring-sealed auto-blasted blast pot, control panel, plumbing & components along with an integrated 115-gallon, UV protected poly tank. It has the ability to blast at unparalleled production speeds from 130-140 psi.